The firewall is the IT security gold standard but will the traffic of the future going to go through it? In addition, more and more features have been packed into many firewalls that include intrusion-prevention systems (IPS), web filtering, VPN, data-loss prevention, malware filtering, even a threat-detection sandbox to try and uncover zero-day attacks. When it comes to the standalone IPS, it might be called “next-generation IPS” as well due to its application controls, such as the IBM Network Security Protection XGS 5000, or the McAfee NS-Series. It’s all part of the race among the firewall/IPS vendors to try and stay ahead of the pack as they also push for ever-higher throughput to satisfy the need for speed as data centers, which have undergone virtualization, making higher bandwidth in the firewalls a necessity. Vendors crave the “thumbs-up” from the influential Gartner consultancy or vie to beat competitors in technical evaluation tests, such as those done by NSS Labs or Neohapsis Labs. 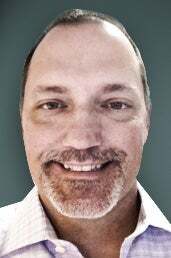 But in the end, it’s all to win the approval of buyers such as Rusty Agee, who’s information security engineer for the City of Charlotte, N.C., which makes use of a wide array of firewalls. Data-center virtualization, the increased use of mobile devices and the prospect of the city adopting a “Bring Your Own Device” (BYOD) policy are some of the reasons Agee stays open to new possibilities to protect data at the various government agencies. The city’s fire and police departments have started using tablets and smartphones and a BYOD migration policy is now being considered, he points out. City employees that use mobile devices are making use of the Cisco AnyConnect client to establish a VPN-type connection back to the city’s Cisco ASA firewall, according to Agee. Along with other Cisco firewalls and standalone Cisco IPS, the city also makes use of Check Point firewalls and standalone IPS to cordon traffic to critical servers, data centers, Internet access and the city’s wireless network. But multi-vendor firewall/IPS in the city’s network doesn’t stop there. The city also has the Palo Alto Networks Next-Generation Firewall to monitor and control employee use of applications. Plus, the city uses the F5 Networks application firewall to look for attack traffic against Web servers. Agee says the city of Charlotte has centralized log management for these security devices with LogRhythm’s security information and event management. “Our firewalls dump hundreds of thousands of logs per day into LogRhythm,” says Agee, who adds the city government also at times receives feeds related to security alerts from federal sources as well. Centralizing firewall and IPS log feeds, along with server logs, helps the city security staff determine from a single point what’s a network-security issue that might involve an attack vs. an employee Web use issue that would be better handled by human resources or management. Finding such a broad mix of vendor firewalls in one organization may be the exception, not the rule. Gartner analyst Greg Young, speaking at the Gartner Security and Risk Management Summit in June, said Gartner sees most organizations stay with a single vendor. And when it comes to next-generation firewalls (NGFW), for which Gartner has been a strong advocate, it’s estimated that less than 8% of organizations use NGFW today, though that number is expected to climb well above 30% within five years. Young also noted that it’s apparent that SSL VPN is moving completely into the firewall and is fading out as separate standalone SSL VPN boxes. Firewalls and IPS, in fact, seem to be able to live almost anywhere. One example is the Fortinet Secure Wireless LAN, which is basically a wireless-access point and switch integrated into a unified threat management device supporting firewall and IPS capability. According to Fortinet Vice President of Marketing John Maddison, it’s popular in retailing in store chains where it’s a cost-effective way to get wireless coverage and security combined. Restaurant chain Jack-in-the-Box recently deployed 650 of the FortiWiFi-60CS devices that combine wireless access and firewall/IPS in hundreds of its restaurant chain locations. Jim Antoshak, director of IT there, says the older wireless points in the Jack-in-the-Box restaurants can now be retired, and the Fortinet gear will be a compact combination of wireless and security. One debate centers around two main questions: Is a multi-purpose firewall/IPS as effective as a standalone appliance? What about a security module in a switch or router? HP, like Cisco and Juniper, offer security modules for firewalling and intrusion-prevention that can work in the vendor’s switches and routers. But Rob Greer, vice president and general manager for enterprise security products at HP TippingPoint, says when it comes to intrusion-prevention, the main deployments HP sees are as dedicated, standalone appliances. And this is generally considered the best approach for the HP next-generation application-aware IPS in terms of performance and granular controls, he notes. Mike Nielsen, senior director, network security and product marketing at Cisco, says the vast majority of what Cisco sells in firewalls and IPS are “dedicated security appliances.” The ASA 5585-X Series in its Adaptive Security Appliance line is described as having 40Gbps firewall throughput which Nielsen says can be pushed to 80Gbps for IPS, which includes an application-controls feature. This is the main element that lets it be called a “next-generation firewall,” according to the Gartner definition. Fred Kost, Check Point’s head of product marketing, says customers that require high throughput and low latency typically decide on dedicated functionality. But he points out that the small-to-midsized business customers often find multi-purpose firewall gateways and the unified threat management devices adequate. Check Point, also jockeying for the “next-generation” title, recently added a “threat emulation blade” as a firewall module. It can safely “explode” files in a sandbox to try and uncover zero-day attacks. It tackles a similar problem that Palo Alto takes on with its Wildfire threat-detection in its next-generation firewall. The sandbox idea is catching on. McAfee just acquired firewall/VPN/IPS vendor Stonesoft as well as ValidEdge for its sandboxing technology. In Utah’s Weber County government, where Matt Mortensen is Ogden's information security officer, the firewall/IPS throughput needs are not more than about 10Gbps, and the multi-purpose Dell SonicWall Network Security Appliance E8500 models with IPS, URL filtering and anti-virus have been a good right fit in the mid-range to support the network used by the county’s 1,200 employees, though there are plans to upgrade to the more powerful SonicWall 9400. The county also maintains a few Cisco ASAs, including the Cisco ASA 5505 firewall dedicated to connections with the wider world of law enforcement for things such as telecommunications wiretap data. Some valuable uses for the SonicWall firewalls have been application controls to block Skype or sometimes Java in some cases for security reasons. Mortensen also uses SonicWall for bandwidth throttling. “I also do geo IP filtering, not allowing users to go to certain places, such as Eastern Europe, South America or China,” says Mortensen, pointing out the Utah county has no business need to, and blocks it for security reasons. The county also does inbound geo-IP filtering, too. Mortensen has also set up the firewall to do egress filtering to watch for signs of botnet activity. The world of the Internet is now perceived as so dangerous, that even the most open-minded of universities feel they are forced to clamp down. That’s what Massachusetts Institute of Technology decided last April as part of an overall revised security strategy in the wake of a fake bomb threat. “Today, systems on the MIT network are subjected to thousands of unauthorized connections per day from nearly every country around the globe and, as a result, MIT sees more than 10 compromised user accounts each day,” the MIT memo to its Academic Council said in April, explaining MIT was going to start block traffic originating from outside MIT’s network based on firewalling infrastructure. Will the firewall and IPS fall short in the future? The firewall and IPS have proven versatile, available not only as hardware appliances but as software too, sometimes specifically designed to push security into virtualized desktop and server environments based on VMware, Microsoft HyperV, Red Hat’s Kernel Virtual Machine (KVM) or the open-source Xen hypervisor (which Citrix recently donated to the Linux Foundation). VMware — to the dismay of some firewall vendors -- has itself jumped in over the past few years with software-based virtualized firewalling controls of its own. Check Point’s Kost acknowledges, “Virtualization is creating a new challenge. What we’re seeing is they need a lot more firewalls,” noting the Check Point 21000 and 61000 represent Check Point’s push to support VMware-based networks. VMware itself has “VCloud Networking and Security” that can be used to establish VM-based firewalls. All of this raises the question who’s in charge of firewalls and IPS these days anyway, points out Sourcefire’s Jason Brvenik, vice president of security strategy in the technical research group at Sourcefire. Nielsen says Cisco has the ASA 1000-V Cloud Firewall. Sourcefire, which shipped its first Next-Generation Firewall this spring called FirePower, has also developed a way to filter hypervisor traffic from Xen, KPM and VMware workload environments, says Brvenik. But he acknowledges there can be performance challenges in comparison with more traditional IPS. Chris King, of Palo Alto Networks, says it’s increasingly common to see customers simultaneously using both its physical and virtualized next-generation firewalls. But NSS Labs analyst John Pirc cautions that hypervisor-based firewalls and IPS are considered to still be fairly new overall and one issue is that firewall/IPS vendors don’t always support multiple virtualization platforms. NSS Labs will likely test virtual-machine-based security this year in its labs. However, it appears that virtualized firewalls constitute less than 5% of the overall firewall market today, according to Gartner. Young says virtualized firewalls tend to complicate situations if only because of “boundary” quarrels over whether they will be managed by the network operations group or the server operations group. “There’s complexity of who owns what in this virtualized version,” he pointed out. The rise of cloud-based computing as the enterprise sends data and the processing of it into the networks of cloud-service providers, whether they be platform-as-a-service, infrastructure-as-a-service and software-as-a-service, is also raising questions about the future of the firewall and IPS. Today, there’s little cooperation with what you do in a service such as Amazon and what you do on premises, Young says. Today, the firewall and IPS largely remains on premise. At the same time, the advent of Software Defined Networking and the use of CloudStack and OpenStack are being watched by the security industry as well. “It’s a disruptive shift,” acknowledges Toubba, but says Juniper believes software-based firewalling, among other security services, can be adapted to SDN and cloud technologies.